Laundry! Love it or hate it, it’s a part of every household routine! 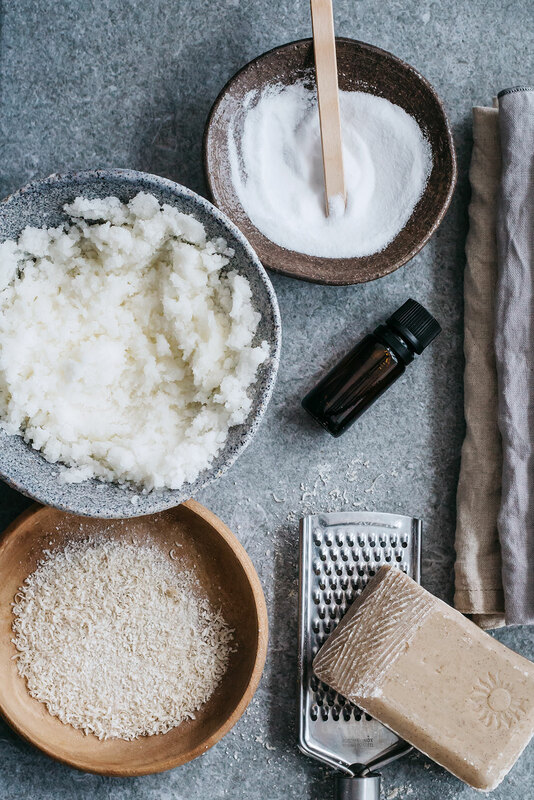 Making your own laundry products doesn’t have to be less convenient than store bought alternatives. 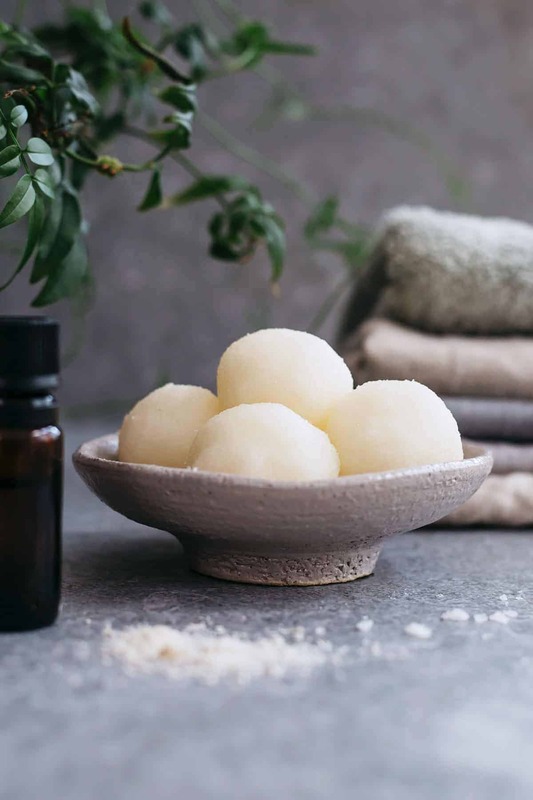 If you like to just throw an all in one tablet in with your wash, then these DIY all in one laundry bombs are just for you! Make a batch and you have all you need for the month, plus you can add a little humor to your wash by choosing some fun moulds to shape the all in one laundry bombs! 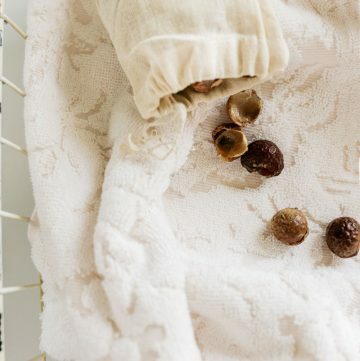 You will need a few different ingredients for the all in one laundry bombs. First up your choice of soap, I went for an all natural plant based soap. Then you need the cleaning power of laundry soda, epsom salts, hydrogen peroxide and the softening power of white vinegar. Start by grating your soap into a bowl. I used a scented soap, with lavender and citrus-yum! 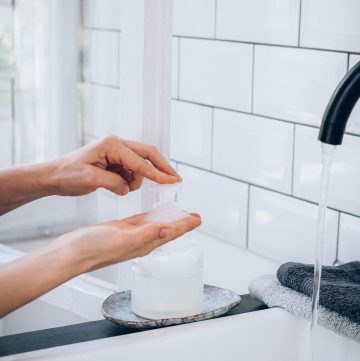 You can either use a scented soap, leave the laundry bombs unscented (if you prefer) or just add some essential oils into the mix! Add in the laundry soda and epsom salts. 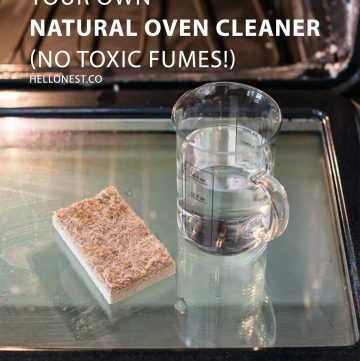 Once you have added the hydrogen peroxide and vinegar mix until well combined. It should stick together but not be too runny. The next bit is quite fun, you can either scoop tablespoons of the mix onto parchment paper or you can choose a fun mould and create different shaped laundry bombs! Let them dry out completely before storing in a jar. Now whenever you have a load of laundry to do, just grab one of your homemade all in one laundry bombs, or two if it is a particular big or dirty load! Convenient all in one laundry bombs with all natural cleaning power! Grate the soap into a bowl. Add laundry soda and Epsom salts. Stir vinegar and hydrogen peroxide into the dry ingredients. Add mix to mould or scoop on parchment paper and allow to dry. This is such a great DIY! I love using laundry pods, but I’ll definitely have to give these a shot. Hi I would also like to know if anyone’s tried this with a load of darks? As I would be concerned about the lightening properties of the hydrogen peroxide. I remember my now adult then middle school son making one for a science project and the sub questioning was it safe. Go figure…. Hi, this sounds like a very interesting recipe. Would really love to make it. Just one question: why do you need peroxide? I’m new to this method. will the hydrogen peroxide bleach my clothes? Combining peroxide (a base) and vinegar (an acid) *can* create toxic fumes. 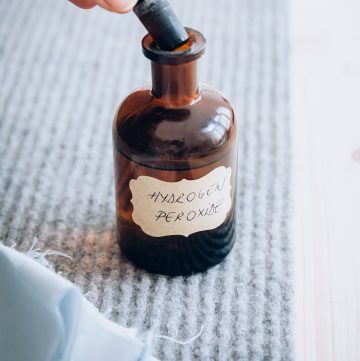 (See this: https://www.quora.com/Is-it-safe-to-mix-hydrogen-peroxide-and-vinegar), which is why some are questioning the safety. 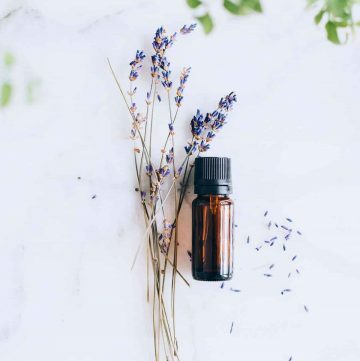 HOWEVER, unless you’re using much higher concentrations of BOTH than what is available at your local grocery, the risk of adverse effects is minuscule. Personally, I’m going to try it!